Stop me if you've heard this before, but TaylorMade are launching a new driver named SLDR. No, I'm not months late in announcing the arrival of the SLDR driver, I am actually talking about the new SLDR S driver. Born from the success of the original, the SLDR S promises "distance for all". Since unveiling the original SLDR driver in July last year, TaylorMade has already followed it up with three variations, not including the latest SLDR S driver. In December they launched a 430cc SLDR whilst also expanding the original offering in the form of a 14-degree model. In preparation for Augusta, TaylorMade unveiled the SLDR Mini driver and then, just last month, they made headlines by offering the SLDR in white. So what makes the SLDR S driver different? Other than the new "Silver Satin" crown and black face look, this is essentially a more mass-appeal version of the original SLDR driver. Many golfers believed the SLDR driver was designed for Tour players who can produce extremely fast swing speeds so the SLDR S features one or two differences that makes it better suited to everyday players. Firstly, the lofts. TaylorMade has invested heavily in marketing their "Loft Up" campaign, encouraging golfers to add loft with the SLDR driver to unlock more distance. With SLDR S, the loft options are even higher. Players can choose from 10°, 12°, 14° and even a 16° model. Yes, 16°, one-degree higher than most standard 3-wood lofts, including the SLDR 3-wood. With that added loft, TaylorMade has to work to ensure they limit the spin, otherwise the ball would simply balloon and not run when it hits the fairway. 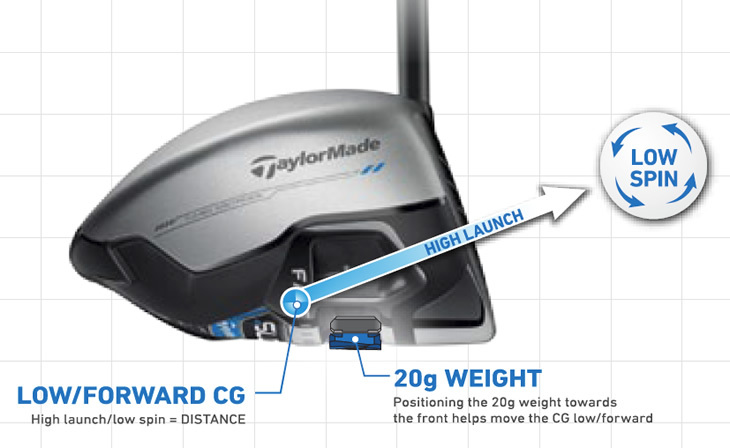 To do that, they offer the same low, forward centre of gravity featured in the original SLDR driver. Whilst many drivers in recent years have placed weights or materials in the back of the head to draw weight away from the face, TaylorMade has positioned the sliding 20-gram weight closer to the face. 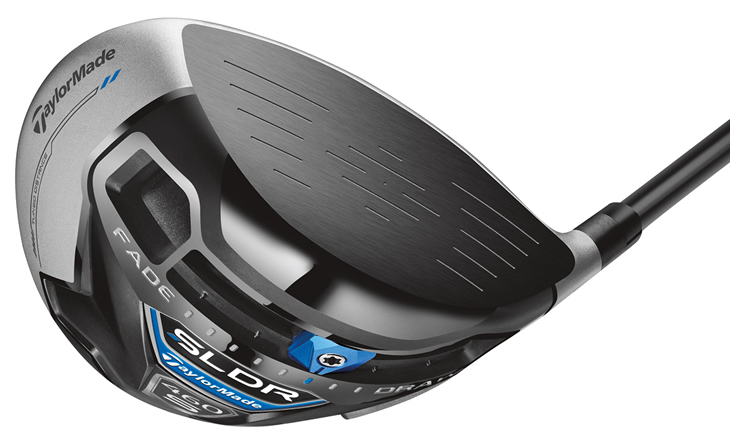 This gives the SLDR S its low-spinning, low centre of gravity performance. It’s no secret that high launch and low spin maximize driver distance, but some players think that only Tour pros can benefit from lofting up. This is simply not true. By lofting up, you can generate serious distance gains regardless of swing speed with SLDR S, which has low and forward CG properties, along with a sliding weight that assists shot shape. How much shot shaping? 30 yards. That is the side-to-side impact TaylorMade say the sliding weight can have on your shot shape. As for shafts, TaylorMade are offering the SLDR S with Fujikura's Speeder 57-gram shaft, available in extra stiff, stiff, regular and senior for men and a 47-gram version for ladies. Their Tour Preferred (TP) shafts are also available for right-handed players only. Featuring Dustin Johnson and promising distance for all. Regular amateurs trying SLDR S for the first time. 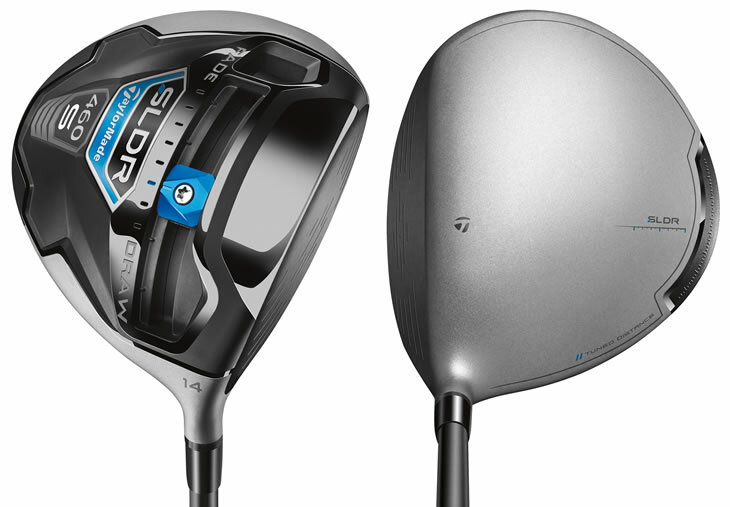 How does the new, grey SLDR S differ from the original SLDR.